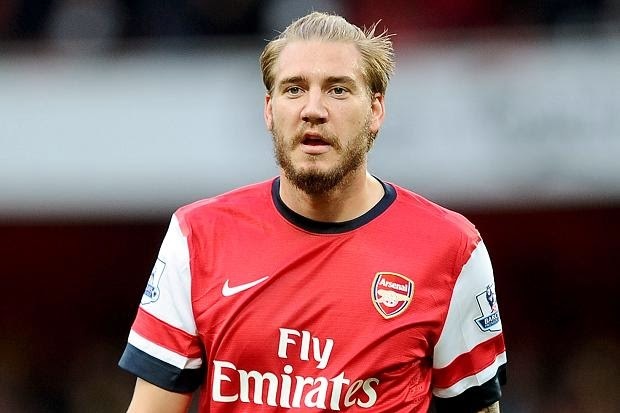 Nicklas Bendtner will be fined by Arsenal for a controversial trip to Copenhagen that the club say was unsanctioned. Arsène Wenger will talk to the Danish striker about exactly what happened on Tuesday evening when Bendtner is alleged to have unbuttoned his trousers and rubbed himself against a taxi after a night out in the Danish capital. After stating that he has yet to ascertain fully what occurred, Wenger said: “Nobody gave him (Bendtner) any permission to go to Copenhagen. He will be fined for that.” Arsenal claimed at the time that Bendtner was injured and that was why he had not travelled to Munich for the Champions League tie. Bendtner was reportedly out in Copenhagen, having watched the game on television in a restaurant, after which the incident is alleged to have taken place. Bendtner’s contract expires this summer and he will not be offered a new deal. “He is at the end of his contract at the end of the season,’’ emphasised an exasperated Wenger.